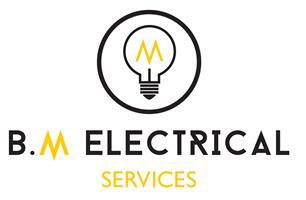 BM Electrical Services - Electrician based in Corfe Mullen, Dorset. I am a small local business based in Wimborne, covering the surrounding areas of Poole and Bournemouth. I am building the business around reputation, having earned many returning customers which I believe is due to providing my clients with excellent value for money, a personal and friendly approach, thereby creating a long lasting relationship leading to recommendations to neighbours, friends and family. Being a small company all my customers are on a face to face basis, this helps me ensure they get exactly what they want guaranteeing 100% satisfaction in a friendly, polite and approachable manner. No job is too small, being a small business however I also have the resources available to cope with jobs of any size. As a City & Guilds qualified, NAPIT approved, Part P compliant electrician you are safe in the knowledge that my work is of the highest quality which meets the most up to date regulations.